Biodegradable mulch mats for young trees made from organic coco fibre and natural latex. 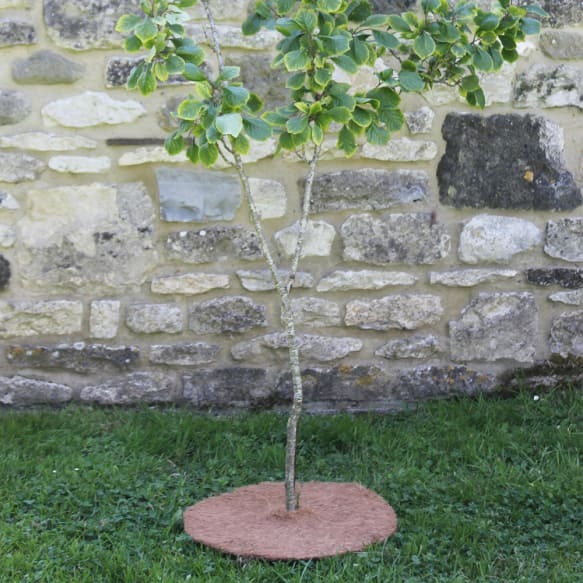 Suppresses weeds, prevents the need to strim close to vulnerable young trunks, allows water air and nutrients to reach roots and helps to retain moisture in early stages of growth of newly planted trees. 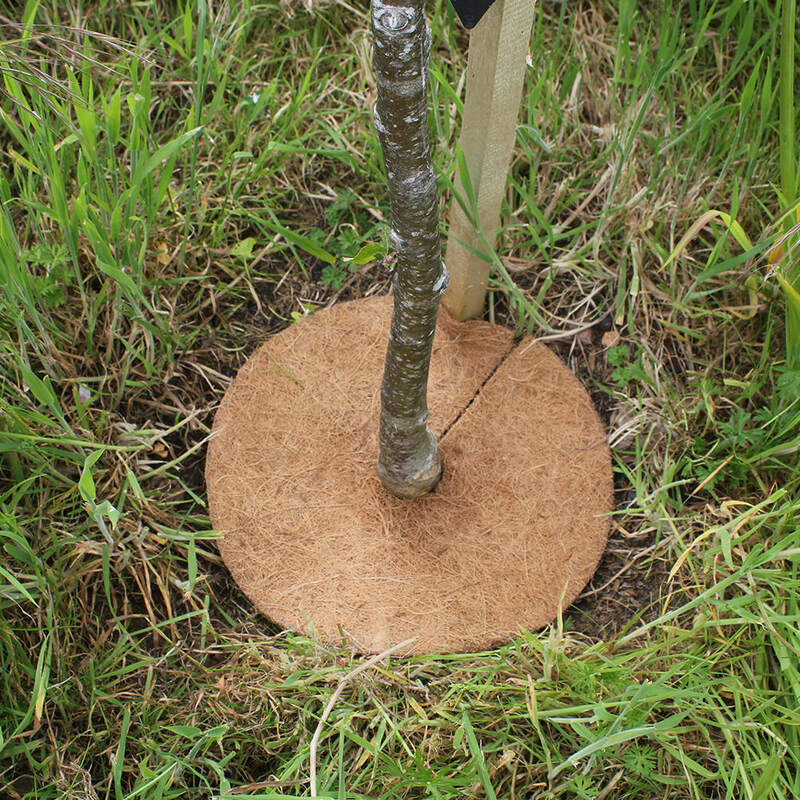 Simply place the tree mat around the base of the tree. 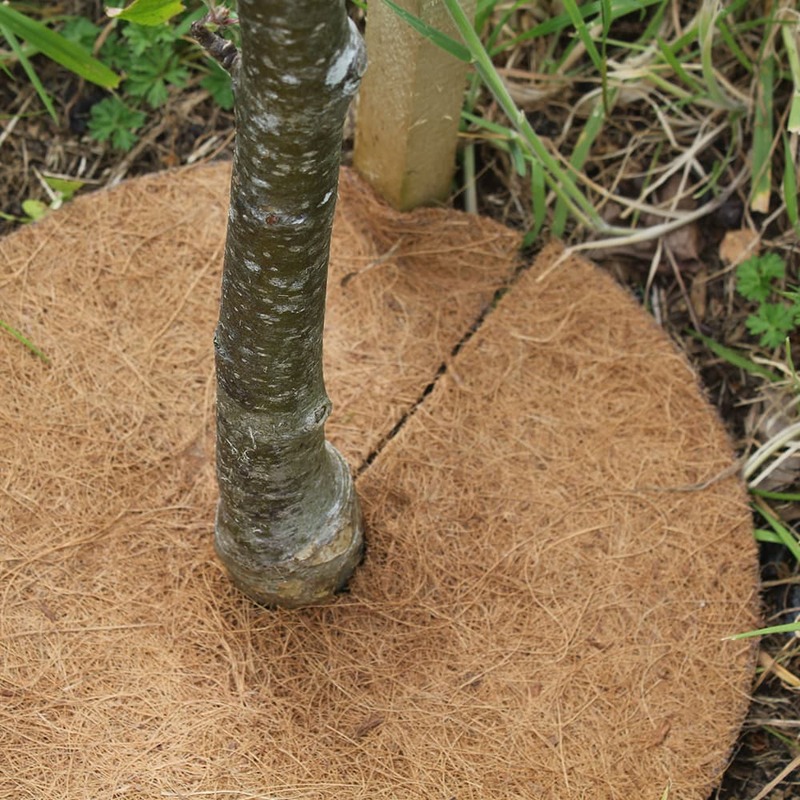 It can be easily cut to size if needed. 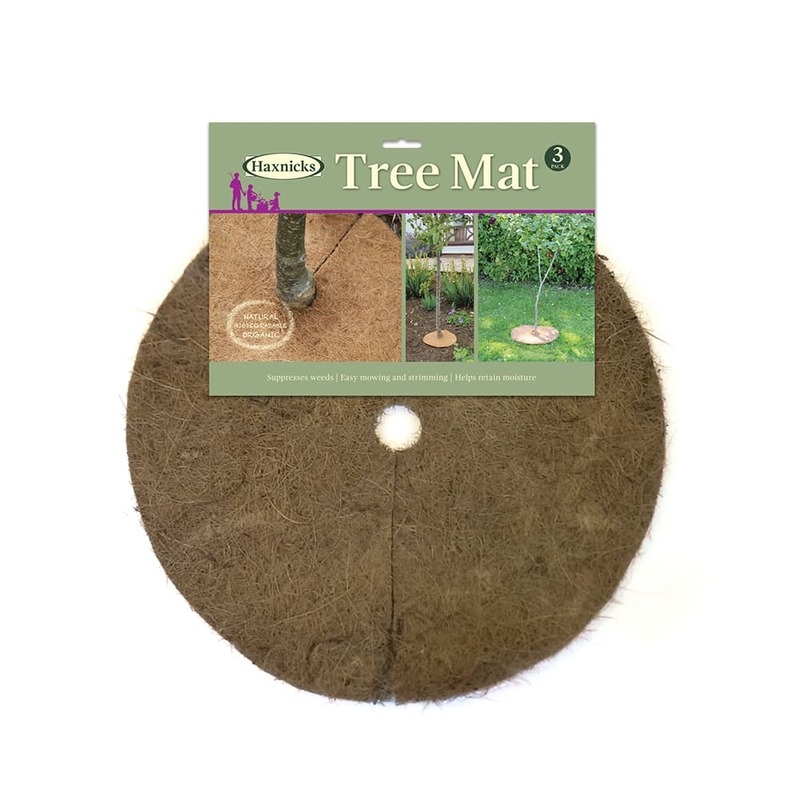 The mat will discreetly do its job for a couple of seasons and then naturally degrade. 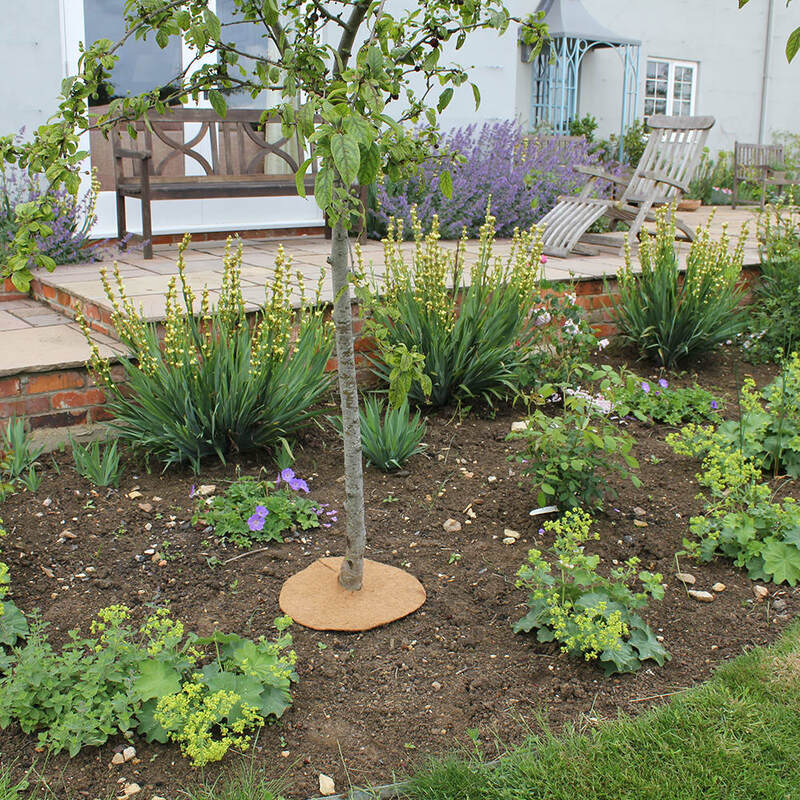 Easy, organic, natural looking tree care.